Denver Web Success is more than a web design company – we aim to be your web partner for success. This means that we strive to understand your company and business goals in order to provide the best possible advice and services, including outstanding web development and proven web marketing expertise. Of course, creating a website to meet your business needs and corporate branding is a critical element for online success. 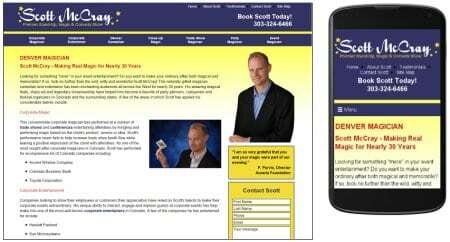 Denver Web Success has been designing websites for over 20 years. Trust us to design and build a website that meets all our criteria of marketability, accessibility, usability, and relevance. The aim is to both attract potential clients and help you to convert them into new business. tes that do not work well on mobile devices. Every website should work well on desktops, laptops, tablets, and phones. One of the easiest ways to ensure this is to build a “responsive” website with a fluid layout that automatically adjusts to different screen sizes. Denver Web Success builds responsive websites that detect the viewer’s screen size and orientation. The website then automatically adjusts the layout to look perfect on that device. Most modern websites are built using responsive design. However, if you want to serve different content to mobile visitors, there is still value in building a separate mobile website or serving content dynamically. As an example, one of our clients is an urgent care facility. When being searched on the web, rather than show the primary website in a responsive layout, they wanted to show a very simple screen with pertinent information, such as hours of operation, location, etc. All, of course, with large, easy to use touch-screen buttons. If your website is not user-friendly it will undoubtedly fail. 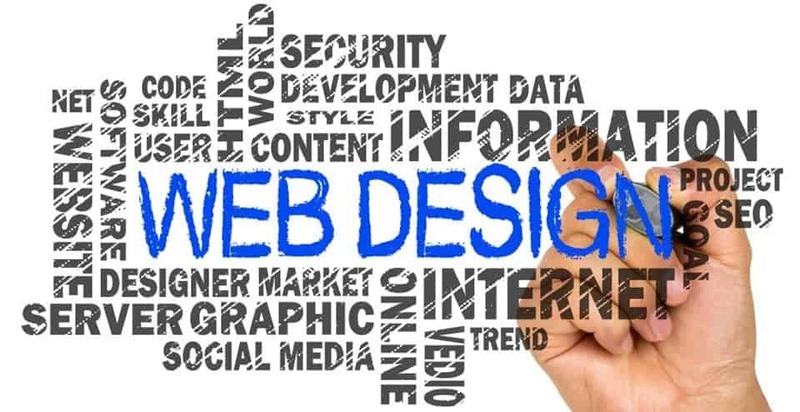 There are many elements to website usability, including accessibility from different devices, page load speed, relevance and clarity of content, consistency of design, simplicity of layout, good use of space, ease of navigation, and much more. Engagement: Do some pages have a high bounce rate, where visitors glance at the page and leave the site? One reason for this might be that you are attracting unqualified visitor; perhaps your page ranks for a term you did not expect. Or, perhaps your page layout is difficult to view on the device they are using. Or, maybe your content is not visually appealing, or it doesn’t engage them, does not answer their questions, or does not include any “what next” calls to action. Objectives: What are your objectives for visitors that arrive at a particular page on your website? Where are they in the buying cycle? If they are currently seeking information, do you provide what they want? If so, do you want to encourage them to sign up for your newsletter, attend an event, download content, etc? Alternatively, perhaps they are ready to buy, contact you, or get a quote. In this case, how easy are you making that for them?